Girlfriends and Sisters. . . I colored the image with my Copic markers. I used a new stencil I got from Hero Arts and used some Pistachio Pudding ink from Stamp Up to put the image on some paper I had. I used a die from Stampin Up to cut the image out. For the “puddle of tears”, I used some Crystal Effects and added some blue re-inker to add some color. I let them dry, and then added them to the image. I used the sentiment from the set for the greeting at the bottom. 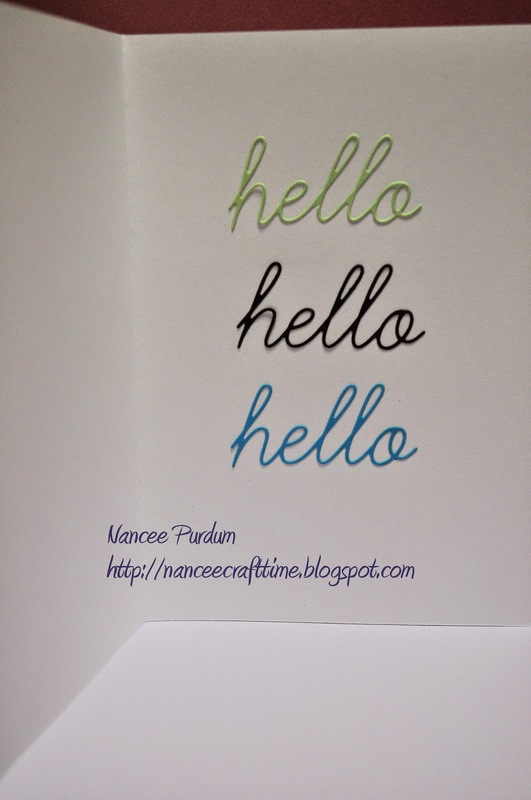 On the inside, I used the “hello” die from Memory Box and cut it out using three different colored papers. I thought this was just enough on the inside. You can find a list of my supplies is at the bottom of my post. I love your card! Your coloring looks fabulous. Thanks for making me smile. I love this, Nancee! I love the stamp! You colored it perfectly and with Copics, too! Brava! I love how you used the stencil as well. 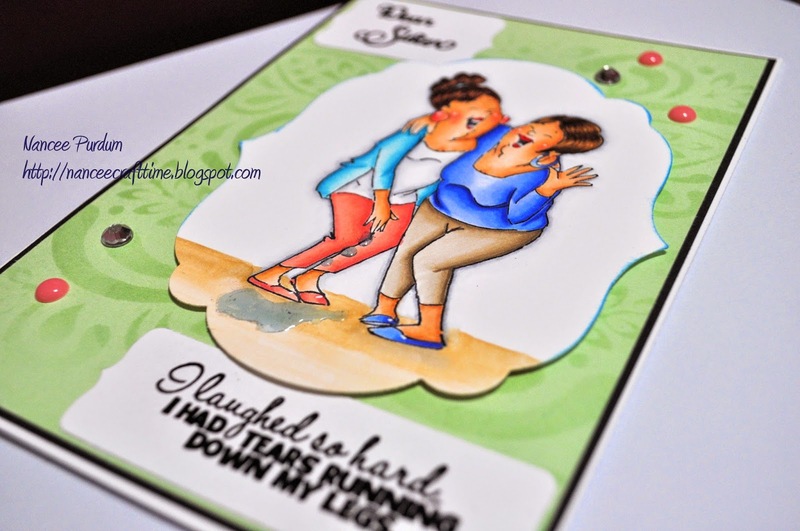 It is a delightful card! I love this! It's perfect!! Love the puddle…a new technique to try out – yeah! Great job girl! 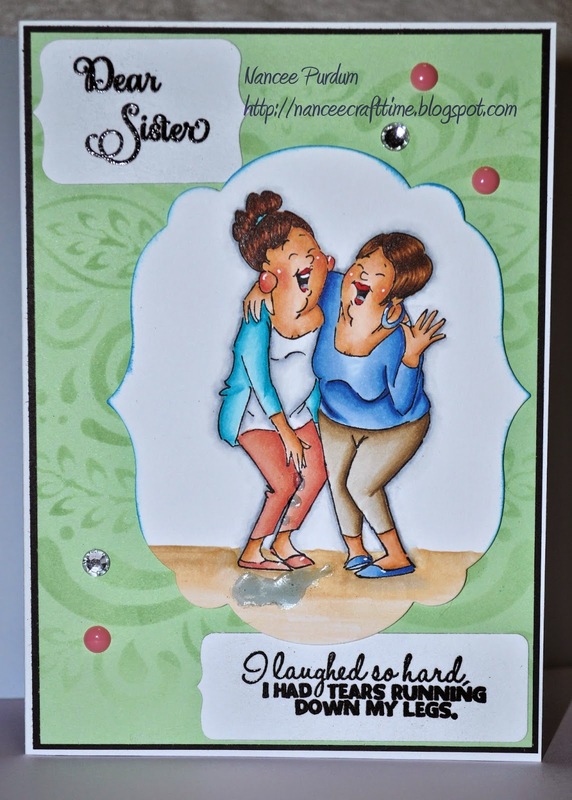 Love your card, Nancee! 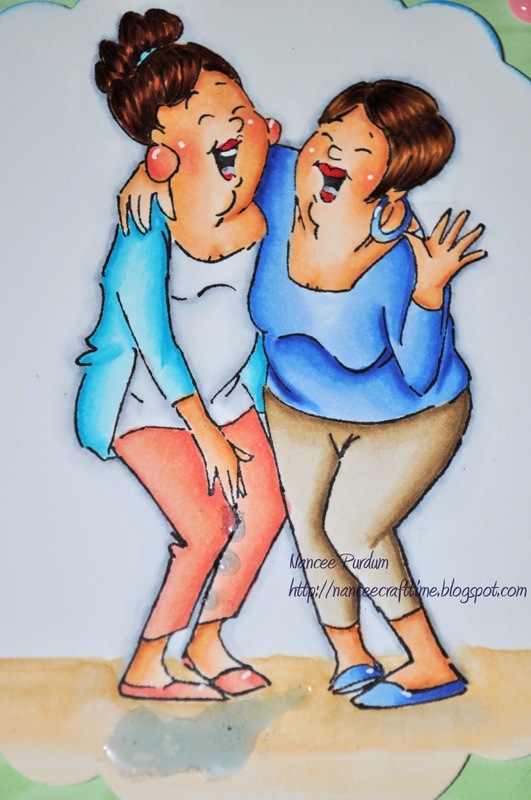 All of us need to laugh more! I'm sure your sister will love it too. Maybe you should make 2 more so all will have one!? Oh what fabulous colouring of the image (one of my favourites) love the details. Gorgeous coloring Nancee! I'm sure she'll love this and have lots of memories of shared times come to mind every time she looks at it! It's so good to laugh!